Flexible magnetic sheets have become very popular in recent years, especially among entrepreneurs and small business owners looking for an inexpensive – and yet highly –effective – form of advertising. One of the most popular uses of magnetic sheets is the fabrication of advertising panels that can be temporarily adhered to the side or rear panel of a car or truck and then removed without damaging the vehicle’s finish. 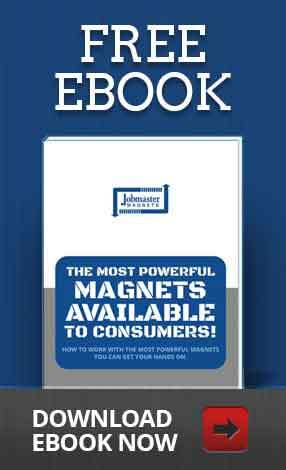 Smaller sizes of these flexible magnets are also commonly used for the creation of refrigerator-type magnets, frequently given away by small businesses as advertising and promotional items. 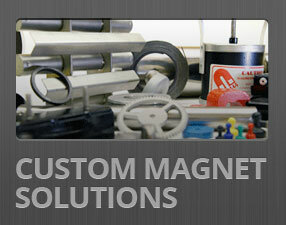 Flexible magnets offer many advantages, including relatively low cost. Because they’re highly flexible, they’re also extremely versatile and can be used in a variety of applications, even beyond advertising. Their flexibility allows them to be wrapped around cylindrical objects and other shapes, and they offer different “pull strengths” – typically from 30 to 85 pounds per square foot - suitable for different applications. They also come in different thicknesses and different sheet sizes, including thinner sheets designed to be printed by "do-it-yourselfers" on an inkjet printer. Sheets typically feature an easy-to apply adhesive backing and are offered in white and colored finishes which can be pad-printed, hot-stamped or silk-screened, as well as die cut into specific – even intricate - shapes. The primary drawback of these sheets is their relatively low magnetic strength. Because they’re made of ceramic powder combined with a flexible binding material, they are not as strong as a magnet made purely of ceramic. Sheets designed for outdoor use can withstand temperatures from -26°C to 71°C (15°F to 160°F) and hold up under adverse weather conditions like heavy rains and snow. As noted, many businesses use these magnets as part of a comprehensive advertising and marketing campaign; however, although they are designed to be used without damaging your vehicle’s finish, the magnets should be removed from the vehicle every day to avoid abrasion that can occur when tiny debris from the road becomes trapped under the magnet. In addition, in some cases the magnetic bond can increase over time, making it very difficult to remove the sheet. 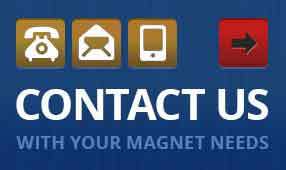 A few simple steps will help ensure your sheet magnets remain in top condition for a long time to come. The surface of magnetic sheeting is simple to keep clean. Simply wipe with a mild detergent, inspecting the sheet for minor damage that, if left unchecked, can result in an advertising sign that looks shabby or worn. Regular cleaning is the best way to remove small bits of debris that can result in marring or other damage. If you need to store your sign, it may be rolled up with the printed side facing out to avoid wrinkling. Always be sure the printed and magnetic signs are clean and free of debris before rolling up. Debris may not only damage the surface of the sign, but it may also create air pockets that can weaken the magnetic bond. Most printers can handle sheets with a thickness of up to 24 mil. Before printing, make sure your printer is set to accept materials as thick as your sheets. To get the best results when printing on magnetic sheeting, use inks that are solvent, eco-solvent, UV-cure or latex based. If you intend to have your signage printed elsewhere, you may wish to speak with your print shop and one of our sales representatives to determine the size, thickness and pull strength needed to get the best results for your application.